In Maslow’s definition, peak experiences are “rare, exciting, oceanic, deeply moving, exhilarating, elevating experiences that generate an advanced form of perceiving reality, and are even mystic and magical in their effect.” Depending on who’s having the experience, it might also be called transcendent, mystical, transformative, or even divine. Perhaps the most significant result of a peak experience can be a permanent, positive change of the individual – a sense that one will never again be the same person. What causes them? Frequently it starts with getting caught up in an experience, such as art, music, nature, athletic performance, spiritual/religious activities, or emotional intimacy with others. The emotion of awe is often a significant part of the experience. You know the moment: It’s when you suddenly lose yourself and realize the thing that you’re focused on – a beautiful piece of music, a majestic mountain, a deep meditative experience – is actually much bigger, much more important, than you realized and you’re connecting with it in a whole new way. Whatever it is, you’ve merged with it and made something wholly new. Though Maslow began talking about peak experiences over 60 years ago, science is just now beginning to study their causes. Unsurprisingly, a peak experience frequently begins when one is spending time outdoors and experiencing nature. 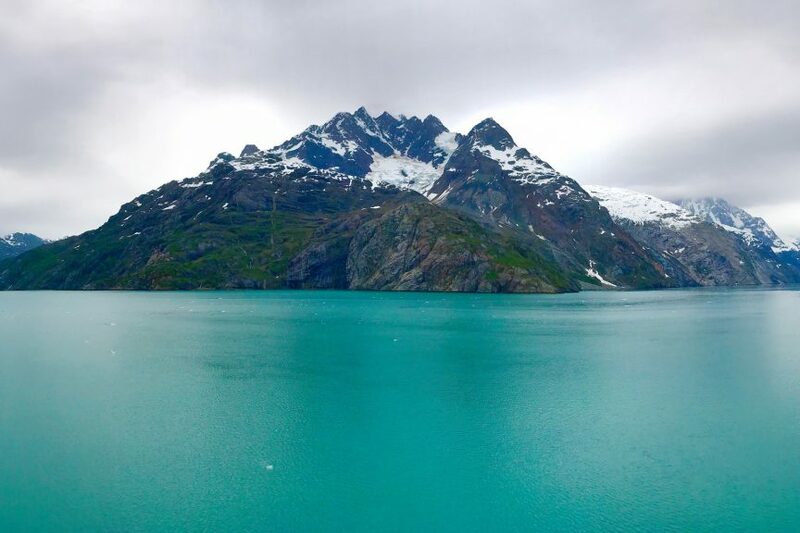 Speaking of nature, I just returned from a week on an Alaskan cruise. I’ve been blessed to travel a lot in my life, including dozens of road trips around the United States, but I’ve never seen anything like Alaska. When people ask, “How was it?”, I don’t know exactly how to respond. While spending a week on a cruise ship with 2,000 other people at times felt crushingly confining, all I had to do was step out on the deck to feel outside myself, to begin to lose myself in the moment and in the natural beauty all around me. We also took several excursions out of our port cities, which is where the most stunning scenes were found. Bald eagles in flight, ice-blue glaciers, massive humpback whales, playful otters sunning on icebergs, immense snow-covered mountains. I couldn’t look at things like this without feeling awe. Awe – that feeling of wonder you experience when something suddenly transcends your understanding and shifts your perspective in a surprising way – can lead to amazing things. Researchers have discovered it leads to positive emotions, more cooperative social behavior, the ability to focus on the current moment, and even to physical healing. Peak experiences and awe seem to be intertwined. You can’t have one without the other. And they both can lead to positive change. Unfortunately, there’s no simple recipe for creating or initiating peak experiences. In a way, they have to come to us when they’re least expected, when we can be surprised in a way that makes us think of life, and ourselves, in new ways. But we can create the conditions in which peak experiences happen. That part, thankfully, is quite simple. Spend more time in nature. Focus on things of beauty. Open your mind to things larger than yourself. But what about permanent change? How do peak experiences alter our lives for the better? In the study mentioned above, the researchers found that the individuals who experienced life changes all had something in common: They assigned meaning to their experience and made a conscious choice to understand their lives in a new way. In other words, it wasn’t just about having an enlightening experience in nature. It was about being mindful of the moment, finding the meaning and insights of the experience, and then holding onto them. The euphoric, joyous feeling of the peak experience may pass after a few moments, but the effects can last the rest of your life. And in case you’re wondering, peak experiences and feelings of awe are common in Alaska. Check out some of the photographic evidence.